JUNE 2019 DATES STILL AVAILABLE! If you are interested in a facility rental, please complete this inquiry form. Contact Roberta, our Rentals Coordinator, at rentals@earthdance.net with any specific questions or to schedule a site tour. 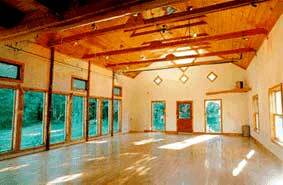 Home to 125 acres of pristine New England landscape, Earthdance provides a rustic retreat and supportive setting to bring your dance & theater artists and companies, yoga retreats, meditation groups, somatic trainings, community gatherings and more! Group retreats can last anywhere from one day to one month, or can occur at multiple times throughout the course of the year. Below is a detailed summary of what we offer for group rentals. 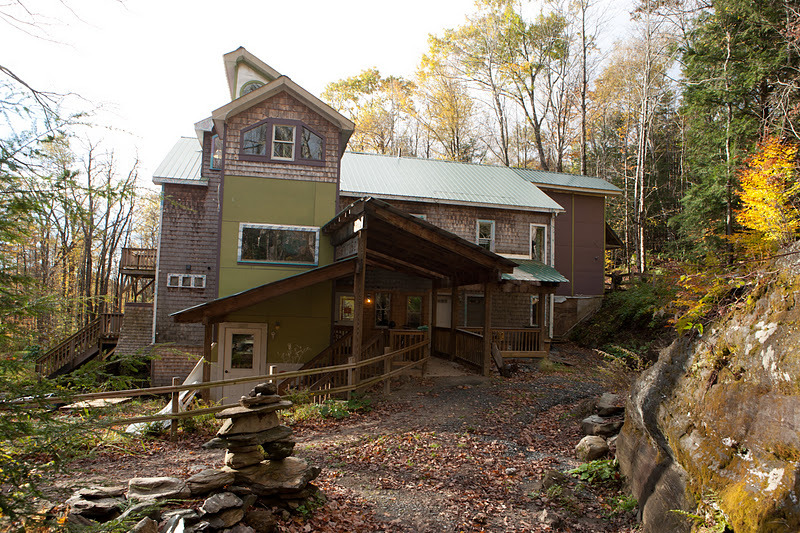 Earthdance Farmhouse: Two beautiful sunny dance studios, dining hall and kitchen, living room, sun porch, showers, library, public computer and printer space, and laundry, as well as additional smaller rooms that function as great break-out spaces for focus groups! The two main studios are 25' x 44' (rectangular barn) and 44' in diameter (umbrella barn). Gratitude Lodge: Three stories of guest housing, which accommodates up to 60 guests year-round in both dormitory-style rooms and private rooms. All bathrooms are shared. This facility includes one warm blanket per bed, and does not include linens or towels. Nine Mountain: This beautiful facility is located next door to Earthdance and provides year-round overflow accommodations for an additional 25 guests. 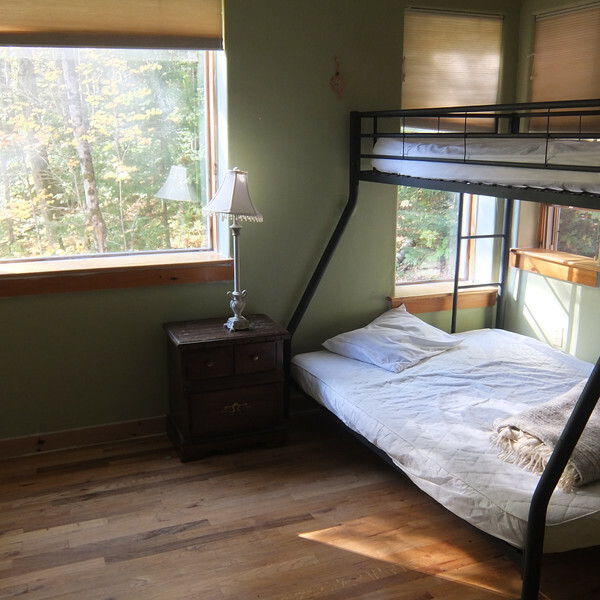 Similar to the Gratitude Lodge, Nine Mountain offers both dormitory and private rooms, and all bathrooms are shared. This facility includes linens, blankets and towels. Tent Cabins: Three tent cabins allow for guests to sleep in a rustic environment in the woods. Each space can accommodate single or double occupancy. Bathrooms are located in the Farmhouse, and guests who choose these accommodations get the full rustic living experience. Tent cabins are available May-September. The cabins include one warm blanket per bed, and do not include linens or towels. Personal Camping: Numerous camping spaces provide low-cost, rustic living for individuals from April until October. Wooded trails: With an extensive trail system throughout our property. Your retreat group can come and relax in the woods, enjoying the wonderful sights, sounds and smells of the Massachusetts Berkshires. Campfire circles: We have multiple campfire circles. Please ask and our staff will be happy to arrange a fire for your group. Wood-fired sauna: Enjoy a relaxing evening in the wood-fired sauna, then a refreshing dip in the quarry! Our Chef and Kitchen Staff provide an assortment of vegetarian, multi-cultural cuisines. We choose from local and organic sources whenever possible, and provide a wide breadth of menu options. We also have a large garden from which much of our produce comes, and therefore meals are always in season! Food allergies and specialty diets can always be accommodated, including vegan, gluten-free, meat and other preferences. Meat and specialty foods are subject to pricing and availability. Shared Service: This option allows groups to integrate more into the Earthdance family by sharing meal clean-ups. 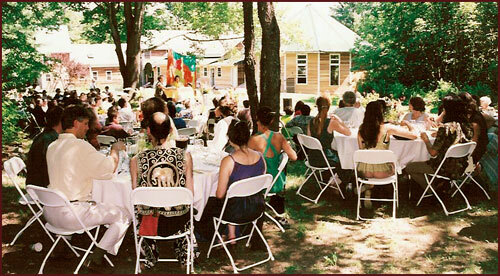 Our Earthdance staff will cook our usual gourmet vegetarian cuisine for breakfast, lunch and dinner, and both staff and guests will clean-up collectively after each meal. Simple Service: This option allows groups to cook and clean for themselves, without the hassle of shopping. Our Earthdance staff will coordinate the menu and ordering for you, and your cooks can handle the cooking and cleaning while your group is on-site. Self Service: This option allows groups that have exclusive use of Earthdance to bring their own food and do all the cooking and cleaning. You may use our kitchen facilities as you choose, which include a fully-stocked kitchen (including kitchenware, spices and oils), as well as our guest fridge and pantry for storing your items. Website: Groups may choose to be listed on our online calendar with a short description and link to their personal registration page. We provide a welcome page for participants giving detailed travel and packing information. Registration: Retreat organizers are responsible for their registration and accommodation planning. LODGING, FACILITY AND GROUNDS: Pricing is determined based your group size, length of stay, and time of year for your booking. For the length of their stay, groups will have exclusive rights to a single studio space. Groups larger than 50 participants are given exclusive use of both studios. All exclusive use privileges are to be shared with on-site staff and residents. Base Pricing: Includes guest lodging, one studio use, dining hall, sauna, trails, and all public spaces. Base pricing for large groups (determined by the time of year) automatically includes exclusive access to the facilities and both studios. Earthdance pricing is based on communal living practices; group participants are asked to contribute to kitchen clean and small chores as part of a final house clean. You may opt for special service and pay for this house clean instead. Additional Facility and Studio Pricing: Pricing for small groups is dependent on minimum guest numbers and studio usage. MEALS: Pricing for meals is dependent upon the chosen meal options listed above. OPTIONAL SERVICES: Additional services, such as laundry, bedrolls (sheets and towels), transportation, additional food, and other guest services may be requested during the contract phase or added during your retreat. Specialty set-up or other specialty services are not included in the base pricing.